The Genie 2 limits you to 7 tuners. Is that really a problem? Folks, sit right back and you’ll hear a tale. It’s not a tale of a fateful trip; it’s a tale of my DIRECTV evolution. It may sound familiar to you, if you’ve taken the same journey. Back in the day, I had a fancy recording setup. Using splitters and switches, I could record to any of three VCRs hooked up to my one cable box, all while I watch watching TV on a different channel. 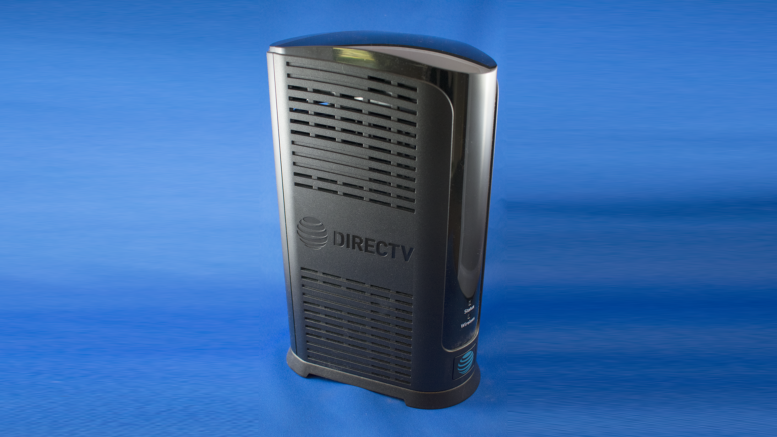 For me, my first DIRECTV box was a downgrade, at least on paper. I had to get rid of two VCRs, while the third went to “playback only” since a VCR can’t really record a satellite signal. It sounds like I lost a lot of capabilities, but I really didn’t. In those rare times when I wanted to watch a third thing while recording another, I went into another room. Since my DIRECTV system was in two rooms and my cable system was just in one, I didn’t lose anything really. One DVR wasn’t enough for me. I got a second DVR in my second room. This was pretty good at first but then I realized I’d have to record everything on both DVRs so I could watch it anywhere. Luckily it wasn’t long before DIRECTV rolled out a solution where programs could be shared between DVRs. So, I could truly record 4 different things and watch them anywhere. This was the first real upgrade since my VCR system. My DVR addiction grew, and I kept adding DVRs. At one point I had a 5-tuner Genie and five 2-tuner DVRs. I was recording everything I could think of. I didn’t even watch everything I recorded, but I recorded stuff just so I would always have something to watch. I recorded whole seasons of shows, and then after I watched the first episode, deleted them all. Or I deleted them before watching if the show was canceled quickly. With 7 DVRs I had the ability to record 350 different series. About a year ago, after slowly culling out failing equipment, I moved over to on Genie 2 DVR and client boxes for every other room. All of a sudden I had 7 recording tuners and 100 series links. That’s less than half of my previous capacity. A lot of my tech friends said I was nuts, and how could I live without the redundancy and capacity of my multiple-DVR system. What if I missed a recording? What if the whole DVR went down? I know people who still struggle with this decision. The funny thing is, the answer was there all the time, in my distant past. When I went from 3 VCRs to one DVR, I changed the way I thought about TV. I could pause live TV, so I could join recordings in progress. I could view things as they were recording, and I could even see if there were other times available so I could deal with conflicts. It took a similar change of thought to realize that by going to Genie 2, I wasn’t missing anything. There’s a big difference between the home theater world of 2002 and the world of 2018 and beyond. In 2002, techies were “islands.” You were a self-sufficient entertainment center, recording what you want and storing it locally. That’s how we did it back then, because video streaming over the connections we had then was pretty much impossible. Obviously things have changed. Today, a lot of your entertainment comes from streaming. You’re not an island anymore. If you miss a recording, it’s probably available on demand. If your DVR goes down, you can use the DIRECTV app to watch it on your phone or tablet, or connect that phone or tablet to your TV. If it’s not available from DIRECTV, it’s available from the provider on their web site generally. It took some changes in my attitude but I began to realize that a 7-room, 7-tuner system with a Genie 2 was all I needed. I said goodbye to loud DVRs in every room and my electric bill went down more than I thought it would. …although I do understand there are some limits. If you have rooms more than 150 cable-feet from the Genie 2, or if you have more than 7 rooms, then this isn’t the right solution for you. You can still get older DIRECTV equipment if that’s what you need. However, AT&T’s research says 99% of homes will be just fine with 7 rooms of DIRECTV. I bet, if you really think about it, you’re one of them. Upgrade to the awesome Genie 2 DVR from AT&T by calling us at 877.312.4547.